we love elaborate breakfasts as much as the next person - poached eggs, a good corned beef hash, stacks of pancakes dripping in buttery syrup, omelets with all the fixings. but few things come close to the simple satisfaction of great bread perfectly toasted, spread with a little butter and your favorite jam. we've made preserves before here and here, but this is our latest experiment in slow simmered fruit and sugar - mangoes, blackberries and vanilla bean. it's so wonderful on toast that you'll have a hard time only eating one or two slices and it's equally as delicious on pork chops or roasted chicken. place all ingredients in a medium pot and bring to a boil over medium high heat. reduce to a simmer and cook 1 hour or until fruit is broken down and slightly thickened. add a little water if mixture becomes too thick and/or a little more sugar to taste. if necessary, mash slightly with a potato masher or back of a wooden spoon. transfer to glass jars for canning or refrigerate for up to 2 weeks. enjoy! Before I finished reading your post I thought this would go beautifully with pork chops. and you just confirmed this :) This is a beautiful preserve. Sounds delicious! I don't know if I've ever had mango and blackberries together before but I imagine it's a lovely flavor combination! 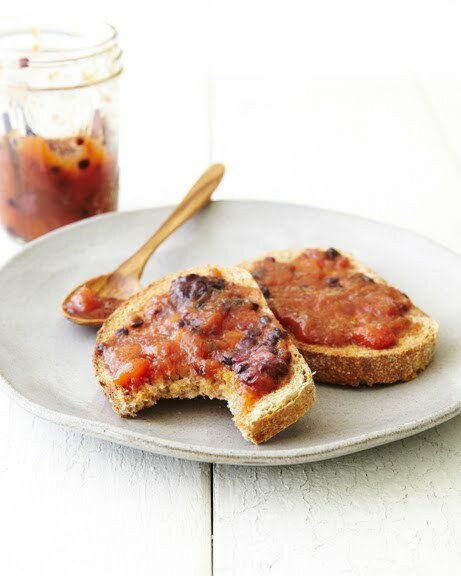 I've been meaning to make some preserves or jam - I can't wait to give your recipe a try! Thanks for sharing this irresistible recipe! I'm definitely a citizen for jam. Love the ease of this recipe! I have a blackberry bush on my patio, currently without fruit. I *hope* it gets its act together and starts producing!